Summer is here and ready to offer loads of fun in the blazing, hot sun. For those of you who plan to soak up your share of summer’s fun at the beach and beyond, it’s important to take precautions considering your skin. In addition to wrinkles, blemishes and scarring, the sun’s rays can cause skin cancer. So other than being a hermit, what alternatives do we have, ladies? Here to tell us about how to protect our skin while having fun in the sun is Stefanie Roselle, licensed esthetician at Dawn Career Institute. According to Stefanie, one of the best ways to protect your skin from being damaged by the sun’s UV rays is to apply sunscreen every day. Of course, another option for a beautiful summer bronze is sunless tanning. The new products on the market today are far better than their predecessors (for those of you who remember bronzed inner palms and orange-glow feet). The sunless tanning products on the shelves today offer a sun-kissed glow without the mess. “To get the perfect sunless tan, make sure that you don’t skip exfoliation,” says Stefanie. Drinking water while you are out and about in the sun will help you stay hydrated and happy. Drinking any type of soda will just dehydrate you further. Try to drink at least 10 eight-ounce glasses of water a day to keep your skin healthy in the summer heat. In addition, some foods can protect your skin from the sun. Tomatoes can help protect your skin from sunburn because it has a high concentration of lycopene, a carotenoid that makes tomatoes red and helps neutralize the effects of the UV rays when ingested. Strawberries are vitamin-C rich, which may help ward off wrinkles and age-related dryness. Be sure to wear protective clothing after you apply sunscreen if you are planning to be in the sun for a long time. Tightly woven long sleeve shirts, long pants and a wide brimmed hat will best protect your skin from the sun. You can also consider buying laundry additives, which give your clothing an additional layer of ultraviolet protection for a certain number of washings, according to the Mayo Clinic. We asked Stefanie what kind of clothing she wears to protect her skin while she is working outside. Be sure to apply the right amount of sunscreen, wear protective clothing, stay hydrated and seek other alternatives to sunbathing to protect yourself from damaging UV rays and promote beautiful summer skin. 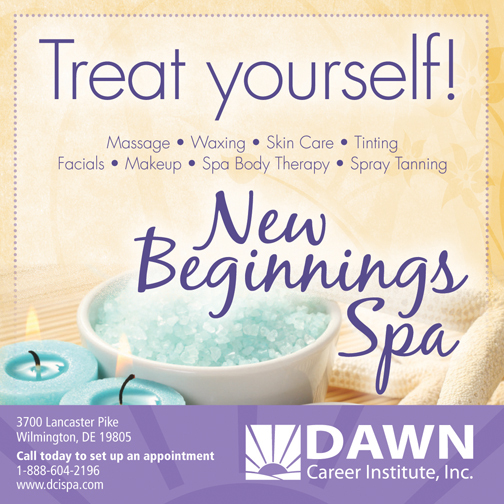 Learn more today at www.DawnCareerInstitute.edu or call 1-800-713-1546. ← Previous Story Eyelash Extensions For The Wedding – And The Honeymoon!